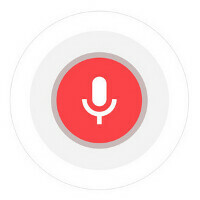 A big change is coming to Google Now. Aparna Chennapragada, Director of Product Management for Google Now, revealed at SXSW on Sunday that an open API will be available soon that all developers can build into their apps. This will give Google Now the ability to search for information from more apps than just those allowed by Google. And if you're curious about what happens when Google Now finds different info from two different sites, "individual user app usage patterns" will be used to determine which information to go with. That means that in a situation when more than one answer is being provided by competing apps, your personal app usage will be used to make the decision what Google Now will tell you. And if you love going to theme parks, there is further good news for Google Now users. Chennapragada has the Google Now team working on displaying cards that would show how long the wait is at certain attractions for various parks. The idea for this came from a trip she made to Disneyland, where long lines can eat up most of your day. Another focus for Google Now is to personalize some experiences. For example, if someone likes to arrive at the airport earlier than normal to catch a flight, this knowledge could be built into Google Now cards. We could see more personalized information coming over the next year. IMO, Apple Siri, Google Now, Microsoft Cortana and BlackBerry Assistant are still not really useful for me, it MIGHT useful to other people, temporary in my country talking to a voice assistant on a phone in public still cause tons of awkwardness. Well typing in a reminder or text or manually changing settings, or manual open an app and select a person to find - does not require to initialize siri.. Doing a search or do anything that Google Now does is as easy as swiping down from middle of screen (any screen) - so to be honest, why type anything you want Siri to do when you can just do it manually.. I'm not sure why a person would want to open Google Now or Cortana (or Siri) to complete a task when all that is available without any voice assistant.. Siri, Google Now, and Cortana just helps any task done super fast instead of doing it manually. So, my question is: why would you initialize Google Now or Cortana to type in "text my wife 'I'm on my way'" when you can just initialize the text and type in 'I'm on my way'....? Yes i know, but if so, it miss the point of the voice assistant function. Phones with Always-on Google Now have that functionality. Love that about my Nexus 6. Yeah, that's what I thought...When I saw MotoX "ok google" for the first time - I was jelous... They brought that to iPhone with next iOS, and so far I use it specifically to text and navigate music if the phone is not on me - the biggest downside to this on iOS is the phone has to be charging at the moment - it's nice that I dont have to worry about disabling the "always listening mode" everytime I take it off charge if I want to extend battery life - but there are seldom moments that it woulda been nice to "keep listening" even when not charging... Hopefully apple figures out how to keep "always listening" ON without the hit on the battery. The MotoX user I know actually has it disabled to extend battery life - but it's still nice to have the option... +1 to Android for this one... Great Feature! I agree, I tell Siri to "Google" for most of information, but tell Siri to search Bing for images and videos. Granted YouTube is a better archive, but the commercials are getting longer to wait sometimes and too often. Yeah it's great that the voice assistants can be trained with constant use. Google Now does the same thing, especially when pronouncing some Spanish words where I live, because here in California we have and use a ton of Spanish words as place names, people's names, etc. Even my last name is Spanish and it recognizes it perfectly because it was trained from listening to me saying it. It should have been done for years. Anyway, late is still better than never. Just let Nova launcher have access to swipe right and open google now. I know you can install add-ons or use the gestures built into Nova but its not the same. I think on some phones you can enable it to listen even from the home screen/screens. On my Note 4, I can say "OK Google" from the homescreen. On the MotoX phones, you can do it even with the phone in sleep mode as well.